Date palm (Phoenix dactylifera): growing, planting, caring. Date palms can be grown in warm climates or coastal areas (where the temperatures never hit below -10°C) - but they won’t produce dates. Full description for Phoenix dactylifera not yet available. 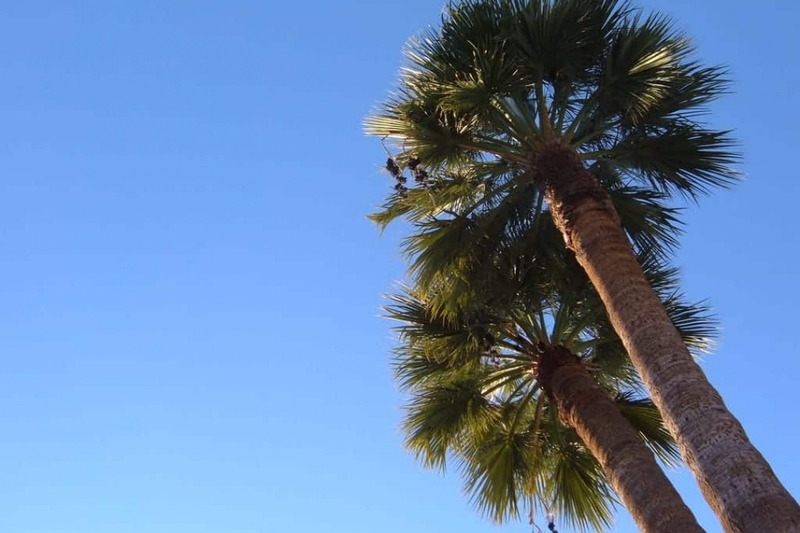 The Phoenix dactilyfera is a palm tree whose stipe can reach 30 meters in height. These stipes, kinds of false trunks, can be multiple in Phoenix dactilifera and are simple in the Phoenix canariensis. The stipe surface is covered with lozenges formed by the fall of the leaves. The fins are up to 7m long, and are organized in fishbone. The butterfly larva Paysandisia archon is currently active in the south of France, and digs galleries in the plant. Cut and burn, or a treatment with nematode Steinernema carpocapsae, as a preventive, is possible between March and November.